Laura Barton has been a volunteer at our Atlanta home for just over a year. She splits her time between Horticultural and Music Therapy sessions and has made quite a few friends during her time with us. All the feels. 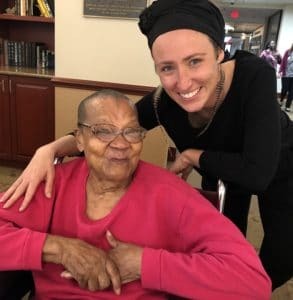 Thank you, Laura, and to all our volunteers who create such meaningful connections with our elders!